Clare O’Keeffe, Farmer, Tutor and Mediator. Clare O’Keeffe has an honours degree in Economics & Sociology from the National University of Ireland, Cork, a diploma in Rural Isolation and Counselling skills and a diploma in Social and Community Studies. She is a third generation farmer on her home farm. She was the first woman elected onto the regional committee of Dairygold Co-operative Society representing primary producers. Clare worked as an Agricultural Development Officer with a Rural Development Organisation from 2005-2007. In 2006 Clare was awarded a Nuffield Scholarship to study ‘Succession on Family Farms, a Global Perspective’. 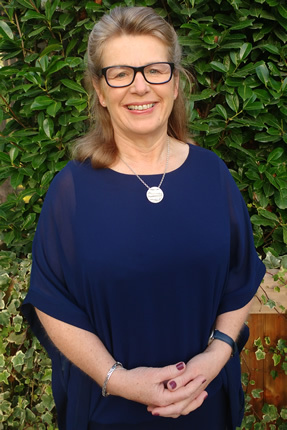 Her research included travelling to and observing succession practices in Argentina, Australia, Brazil, China, Canada, Holland and U.K. Clare trained as a succession facilitator and planner under the guidance of Lyn Sykes. 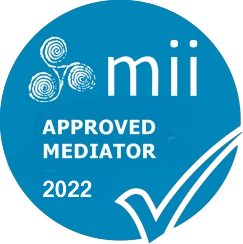 Clare is a certified mediator and a member of The Mediators’ Institute of Ireland (MII). Paul Pierce, Solicitor, Lecturer and Mediator. Paul is a practicing mediator certified by the Mediators Institute of Ireland. He has hundreds of hours of experience in mediating. The majority of his experience is in facilitating conversations between family members, particularly where family and business relationships are intertwined. Paul began mediating with Succession Ireland in 2012 and brings with him his expertise as a mediator as well as his experience of succession issues from working as a solicitor and from lecturing in land and succession law with Griffith College. From Listowel in County Kerry, Paul obtained an honours degree in Commerce and German from the National University of Ireland, Galway, before being admitted on the roll of solicitors by the Law Society of Ireland. Recongnised as an engaging speaker at seminars and event attended by lawyers, mediators and the public on legal aspects of mediation, Paul recently provided an address to the Mediators Institute of Ireland annual conference 2017 on the practical application of the Mediation Act 2017. As an educationalist, Paul was instrumental in the development of the Certificate in Mediation run by Griffith College which has gained accreditation from both the Mediators Institute of Ireland as certified mediator training and Quality and Qualifications Ireland (formerly HETAC) as an academic course at level 8 on the National Framework of Qualifications. He lectures on the course now, with a particular interest in the Regulation of Mediation module.